Beautiful necklace designed by Pilgrim with glass beads in autumn colours is a fantastic addition to any jewellery collection! 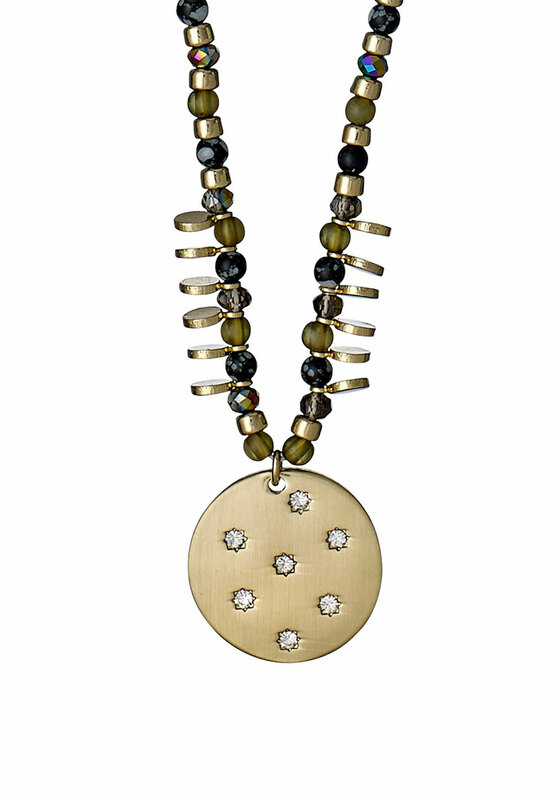 This glass beaded necklace is designed with glass and acrylic beads with a gold coloured disk with crystal stones in the middle. 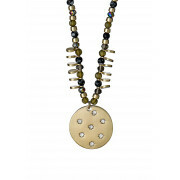 This necklace measures at 43cm and comes with 10cm adjustable chain.